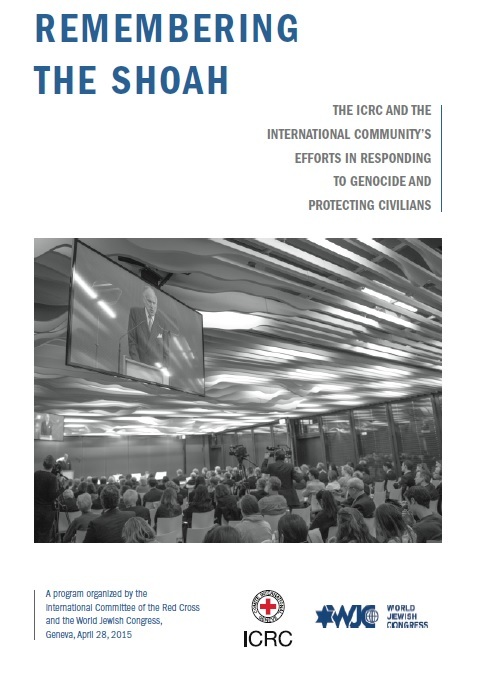 On April 28, 2015, the international Committee of the Red Cross (ICRC) and the World Jewish Congress held an event in the Humanitarian at ICRC headquarters in Geneva to mark 70 years since the end of the Shoah, which saw the death of millions of Jews as the result of a systematic genocidal policy. During this period, the Third Reich also persecuted countless members of minorities and other groups. The ICRC, although particularly active during the Second World War with more than 50 delegations in operation, failed to vigorously address the plight of victims of the Nazi regime and its allies. The discussion provided an occasion to share lessons learned by the ICRC and the international community in terms of the development of legal and political tools to prevent and respond to large-scale atrocities. The historical perspective paved the way for a forward-looking reflection on genocide prevention and civilian protection. How far have we come since the end of the Shoah in 1945 and the subsequent drafting of the 1949 Geneva Conventions, and how far do we still have to go? This booklet contains the proceedings of this event.